Pokémon Go wants you to move….a lot. And as a reward for being more active (unless you’re a lazy couch potato and plan to cheat) you will catch more Pokémon, incubate eggs, maybe conquer some Gyms and level up your trainer. 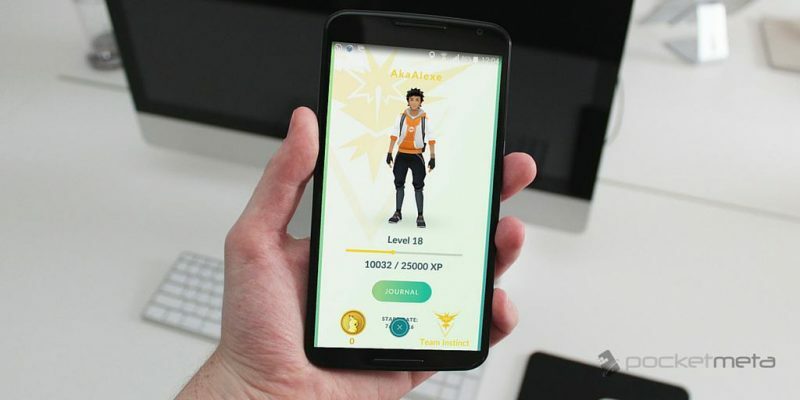 In case you’re wondering what rewards you get at each level we’ve got you covered with a complete Pokémon Go level-up rewards list. We currently know the Pokémon Go XP level requirements from level 1-40 and there is no official level cap yet. However, you’re going to need to have a serious collection of walking shoes to reach level 40, which requires a whopping 5,000,000 XP points and seems nearly impossible to reach. Also, our Pokémon Go level-up rewards list goes as far as level 36 and includes all unlockable items courtesy of this Reddit user and we will keep it updated as new information arrives. What’s your current level in Pokémon Go? Let us know in the comments section and follow us on Facebook,Twitter and Google+ to stay up to date with the latest apps, games, guides and everything Android, iOS and Windows Phone.